When it comes to good news, last year was a plentiful year for the Society and its members. We would like to share with you some of the highlights that the hard work of all those involved with the Society enabled in 2017. 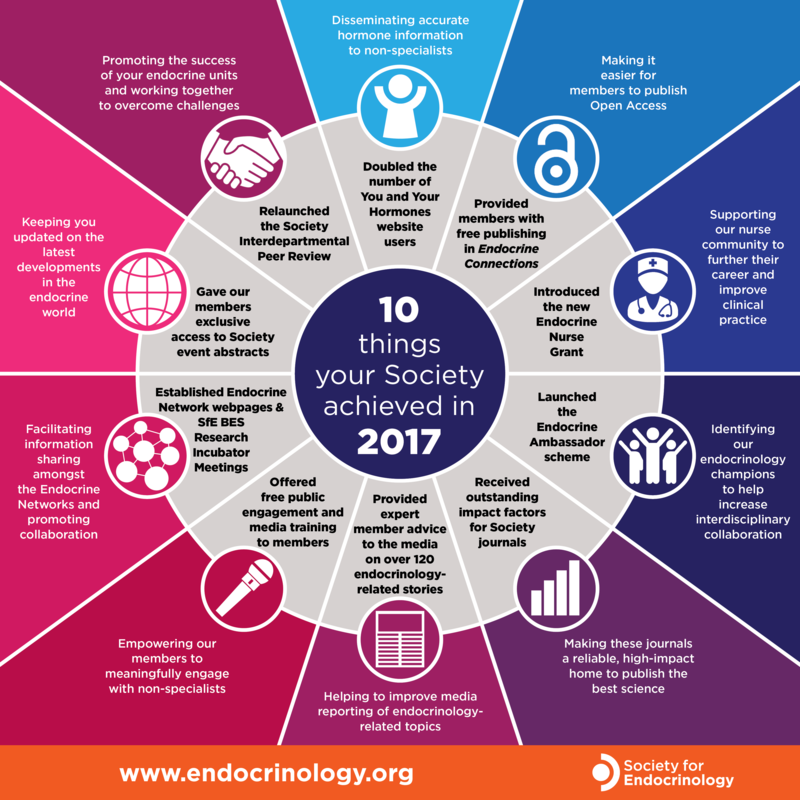 Read more details about these achievements on our blog, The Endocrine Post.